My name is Wong Chong Giik, and I am also known as Yoke Jie. I am one of the most experienced confinement nanny and have been providing my services for the past 30 years. I have no intention of stopping anytime soon and am capable, caring. My attention to detail has also received praises from clients. Being an expert in this field, I provide my confinement care services to an average of 6 families each year. I am dedicated to my career and aims to ease the journey for families with newborns. I am skilled in making nutritious confinement food to aid mothers in their journey to recovery. Some of my tasty dishes include Steamed Threadfin, Pork Ribs and Black Bean Soup, Braised Pig Trotters in Vinegar Sauce and Black Chicken Soup with American Ginseng and Carrots. 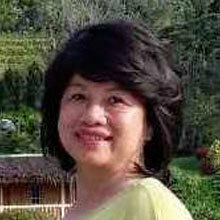 I am a multilingual who is well-versed in Mandarin, Malay, basic English, Hokkien, Fuzhou, and Cantonese. I will only be available from March 2017 onwards.